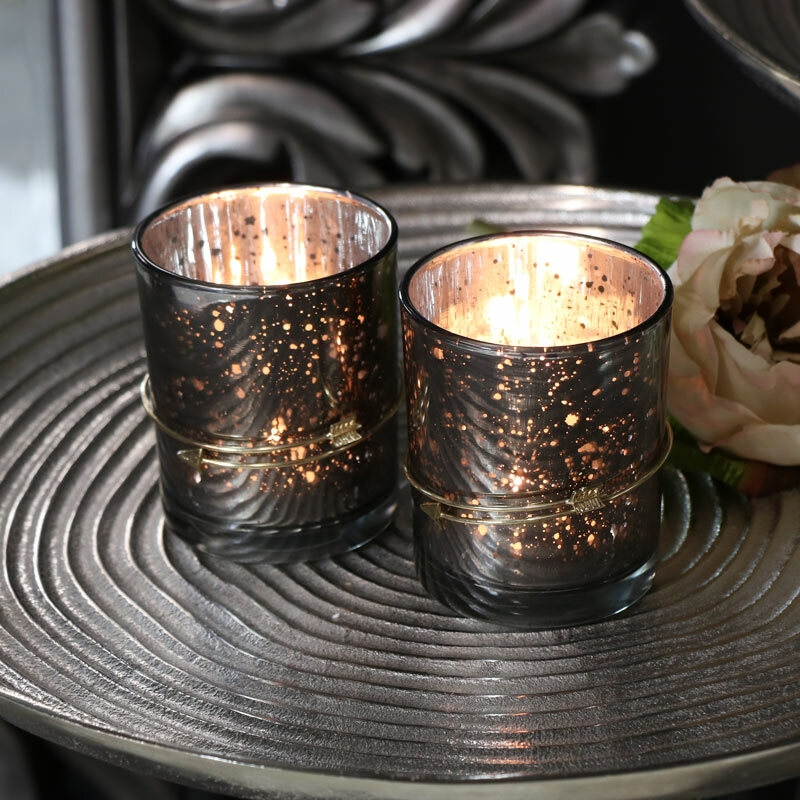 Light up your home in elegant style with this pair of candle holders. 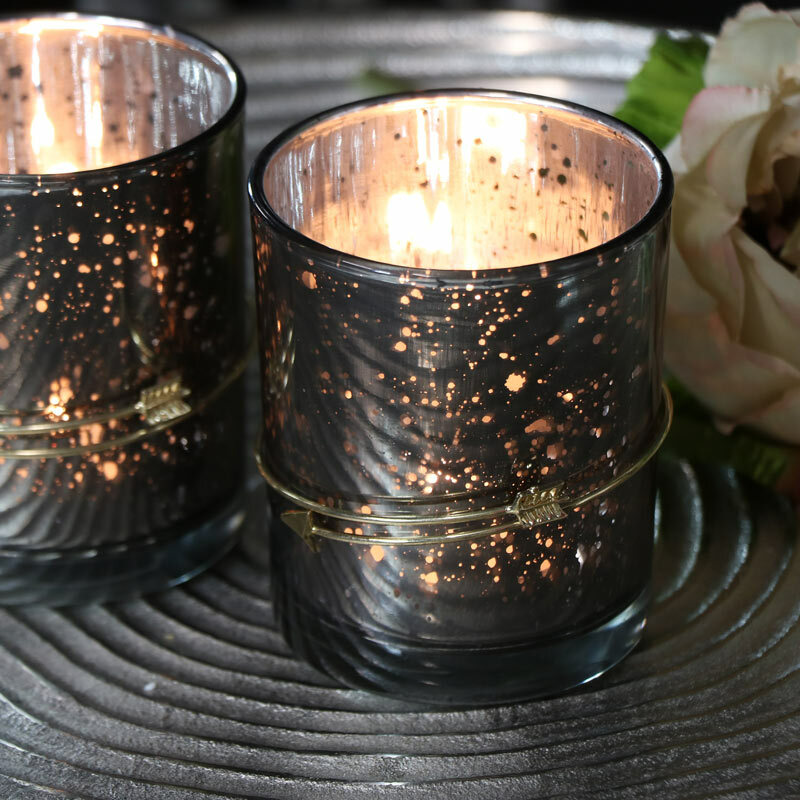 Perfect for adding some warming candlelight or using as a centrepiece for a wedding or dining table display. In a set of 2, both come decorated in a grey finish with a gold arrow charm encircling the glass cup. These would look pretty sat on a mantelpiece or display table . 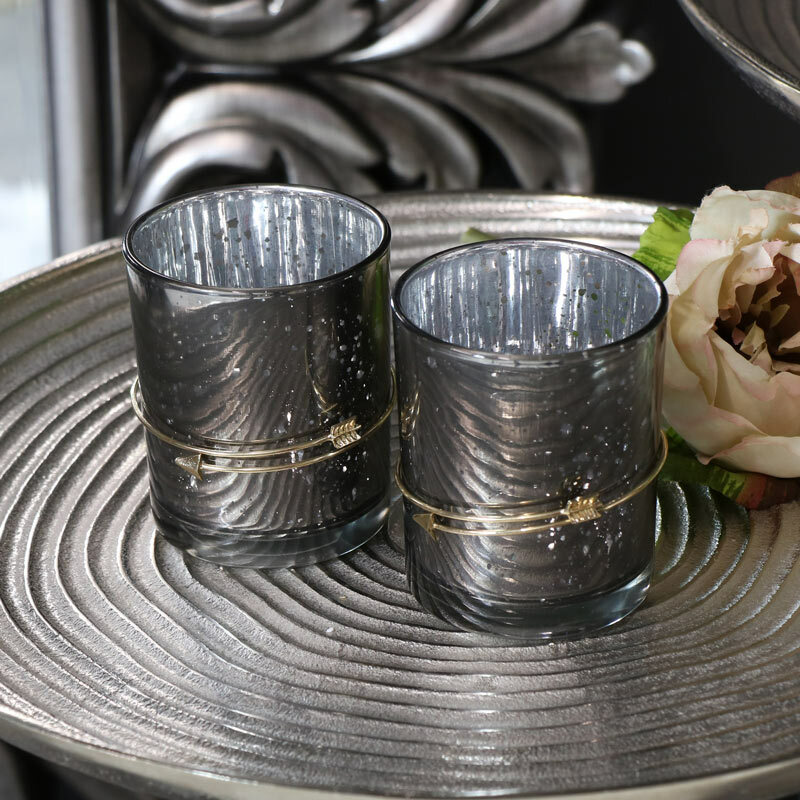 Light up your home in elegant style with this pair of candle holders. Perfect for adding some warming candlelight or using as a centrepiece for a wedding or dining table display. In a set of 2, both come decorated in a grey finish with a gold arrow charm encircling the glass cup. These would look pretty sat on a mantelpiece or display table . Each holder is made from glass with a grey mottled effect and gold metal arrow charm. Holds standard tealight. We have a wonderful selection of candle holders, candelabra and tealight holders in a great choice of styles.